Please find attached Compass' Q4 2016 Boston Market Report, which is an analysis of 12 key neighborhoods highlighted on the map on page two. We are excited to share our first quarterly report for the Boston market; going forward, the release date will be earlier in the following quarter. 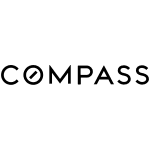 This report highlights the prevailing trends shaping the market from the fourth quarter of 2016 and provides a glimpse into the research and data analytics in which Compass prides itself. Available single family listings decreased 8% year-over-year to 303 homes in Q4 2016. The number of sales decreased 10% to 223 closed transactions, which was primarily led by the 14% year-over-year decrease in Newton, where 117 homes sold in Q4 2016. Median asking price and median sale price increased slightly year-over-year, by 2% and 1% respectively, both achieving the highest fourth quarter record. The sweet spot for sales occurred between $1M-$2M (up 4% Y-o-Y to 95 closings), followed by 86 sales between $500K-$1M (down 18% Y-o-Y). Median days on market decreased significantly by 33% year-over-year to 22 days as lower inventory increased the pace of sales. Condo inventory increased 9% year-over-year to 1,278 units and median asking price increased 12% year-over-year to $785K in Q4 2016. The number of sales increased by 2% year-over-year to 916 closed transactions in Q4 2016. Median sale price tied a record level of $725K (up 10% Y-o-Y) last achieved in Q2 2016, primarily driven by double-digit percentage increases in Cambridge, South Boston, and Brookline, which together accounted for 43% of condo sales this quarter. Demand for larger apartments was strong in Q4 2016, as the number of three-bedroom sales increased 22% year-over-year and the number of four-bedroom+ sales increased 47% year-over-year. Despite an increase in inventory, median days on market decreased by 17% year-over-year to 20 days.